What is it about a fire that draws us to it. Perhaps it is the primal instinct of man to be close to it. Maybe its the feeling of control over something that can be deadly. Or is it the warmth, the glow and the beauty? I don’t know, but I enjoy looking at the flames of an open fire. 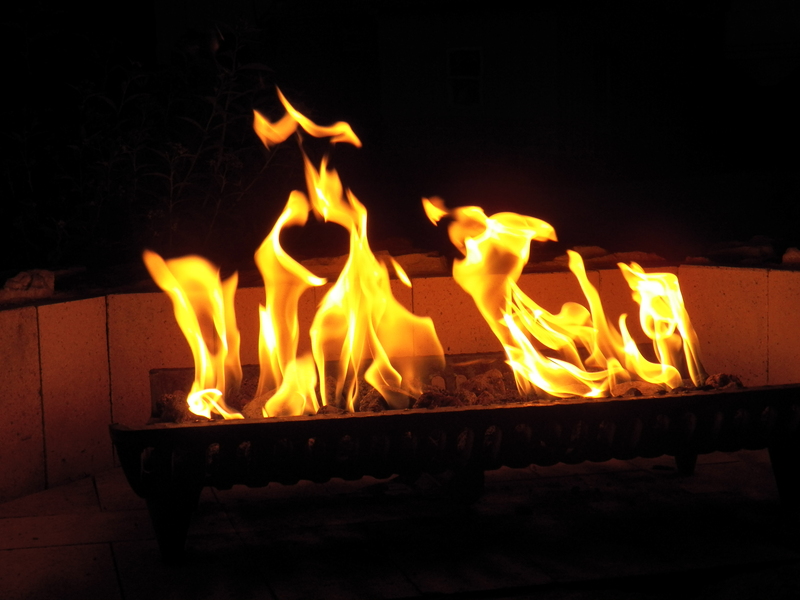 Staring into the flames, a person can think, or let thoughts disappear. There is no right or wrong way to enjoy it. The flames jump into the night and vanish into the air. Like a lost love, or a first kiss, the memory is fleeting, but somewhere in your mind’s eye a glimpse is repeated on the dancing flames. Love is like a fire. It consumes us. It’s hot and desire burns deep. It warms us inside and out. It is beautiful, but it can hurt us deeply, scarring us for life. Looking into the flames, I consider all of these things and realize that life, without fire or love, would be a very terrible thing…cold and lonely. I think miserable, would describe it in one word. There is no question in my mind, that love without ceasing, is the only way to love someone. Give your heart and all of yourself to that special person. The joy and enrichment you get in return is indescribable. I didn’t always do that, and for that I am truly sorry. I don’t want to go back. I figured it out finally. It took me a couple tries. Sadly, the burn sometimes can still be felt, thank goodness, for the ointment of true love. It soothes, comforts and quiets the hurt made long ago and takes the sting out of life. Thank you God, for my loving wife.